The Northwest Territories covers 1.17 million square kilometers of forests, mountains and tundra intersected by pure rivers feeding thousands of lakes. The territory is home to wolves and white whales, herds of bison, bears, moose and caribou by the thousands and the spectacular Northern Lights are often on display during winter nights. 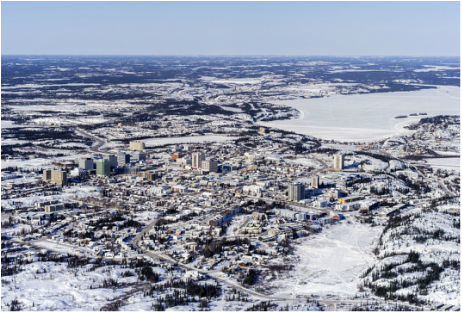 Yellowknife is the only city in the Northwest Territories, situated on the north shore of Great Slave Lake, the ninth-largest lake in the world and the deepest recorded lake in North America. This unique urban outpost features all the modern amenities of a large city in the middle of a vast subarctic wilderness. Population: 43,595 people live in the Northwest Territories. Approximately half the population is Aboriginal.